Ane Vernon is ‘tenacious in pursuing the best possible outcome for her clients and has an excellent manner, always going the extra mile to put them at ease’. Ane is a recommended lawyer by The Legal 500 UK law directory who advises on a wide range of matters in the areas of education law, trusts and probate, commercial and contract as well as public law. 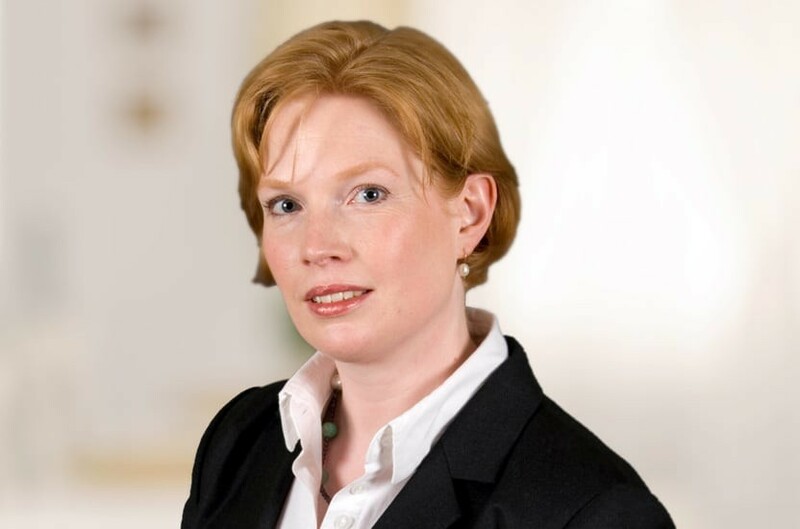 She has particular expertise in disputes arising in the area of education law and has longstanding relationships with her clients in both the professional and education sectors, whom she advises on a range of regulatory/compliance issues with a view to averting potential claims or defending existing claims. Ane advises schools and institutional clients in relation to their byelaws and regulations, admissions arrangements and in connection with membership examinations and appeals. Ane also represents individual students or their parents and is experienced in dealing with the sensitive issues that arise out of exclusions or suspensions. Ane successfully represented the Governors of The London Oratory School in their Judicial Review claim against the Schools Adjudicator concerning the school's admission arrangements. The case attracted national media coverage and widespread public debate concerning faith schools in the UK. As part of her contentious trusts and probate practice, Ane regularly advises disaffected beneficiaries in relation to questions concerning the validity of wills, as well as executors, trustees and independent administrators. In addition to handling her own files, she works closely with the firm's Private Client department on substantive probate and trust disputes, which included a case involving rarely encountered issues of Settled Land. Ane is part of the firm’s team acting for Swiss trustees in a substantial breach of trust claim involving complex cross-border and conflict of law issues, concerning alleged excessive distributions. Ane also advises on commercial and contractual disputes and provides advice in relation to various regulatory and compliance issues. Ane is experienced in taking litigation to trial as well as obtaining favourable commercial solutions through alternative forms of dispute resolution such as mediation. A skilled and efficient case manager, she provides legal advice that is sound but practical, whilst supporting her clients in dealing with difficult and sensitive issues that can arise during disputes. Ane is fluent in German and Danish. She is a member of the International Young Lawyers Association AIJA and the London Solicitors Litigation Association. "a very capable lawyer who builds up an excellent rapport with her clients who trust her implicitly"
"a meticulous lawyer who will really fight her client’s corner"
"the most impressive solicitor who ever instructed me in an education/schools case"
"she combines tenacious loyalty with real judgment; and supportive sensitivity with professional objectivity"
"always meets our expectations to the highest standards"
Joined Payne Hicks Beach 2001. Qualified 2003. Promoted to Associate 2009. Will I be fined for taking my children out of school in term time?